with those that you love. Have Fun behind the curtain. 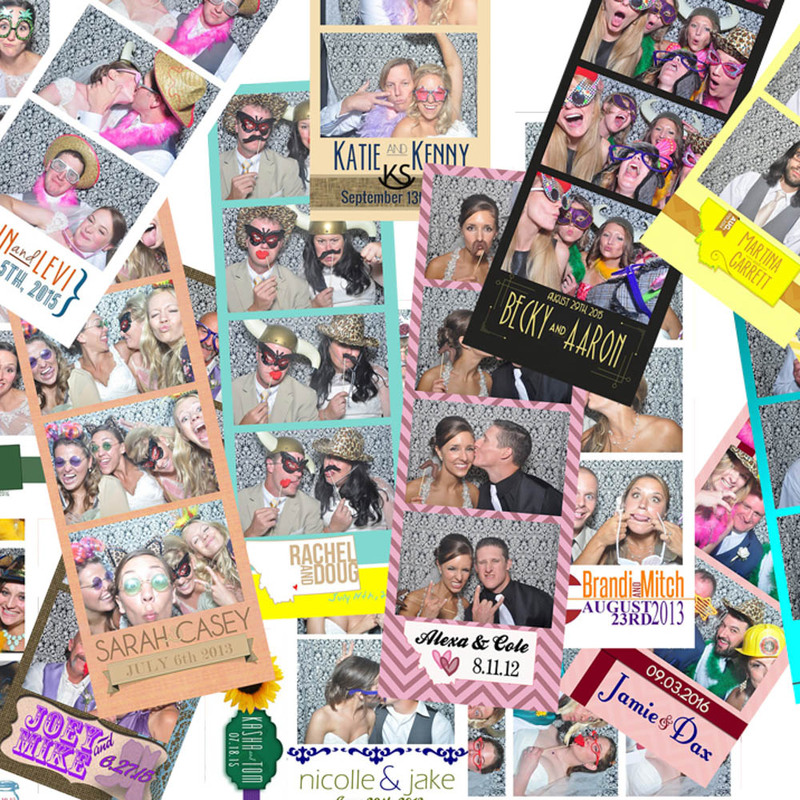 The photo booth is the life blood of any party or event. Have you ever wanted to see a grandparent with a mustache and a boa, your in-laws being goofy or just a sweet picture of you and your beau? Let Six Shooter Photo help bring the party. Unlimited prints. We print a photo for each guest in the booth and one extra one for the guest book. If you want more, just ask! Attendants. In order to make sure the guest book gets assembled correctly, the props are organized and the booth runs smoothy, we have on site attendants. A box full of fun hats, glasses, mustaches, boas, etc etc. Melissa is constantly updating the prop box with goofy items she finds. A guest book. We organize and assemble this book on the spot and you will receive it at the end of the night. 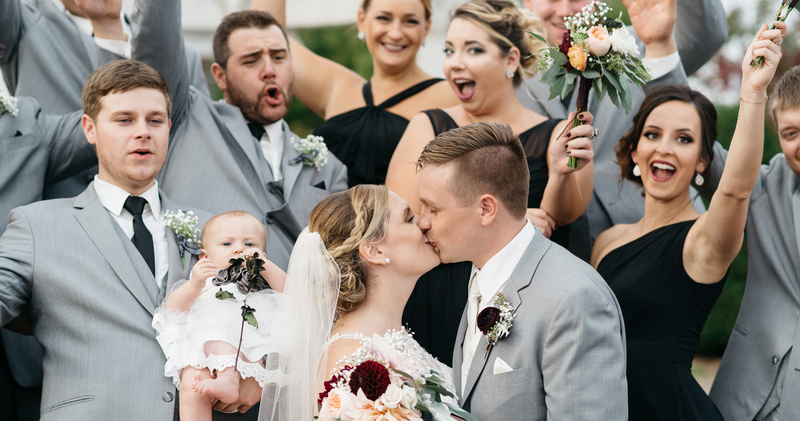 You’ll love looking through the book of your friends and family having a blast on your important day. Private hosting of your photos online. We supply you with the password and let you do whatever you’d like with the photos. 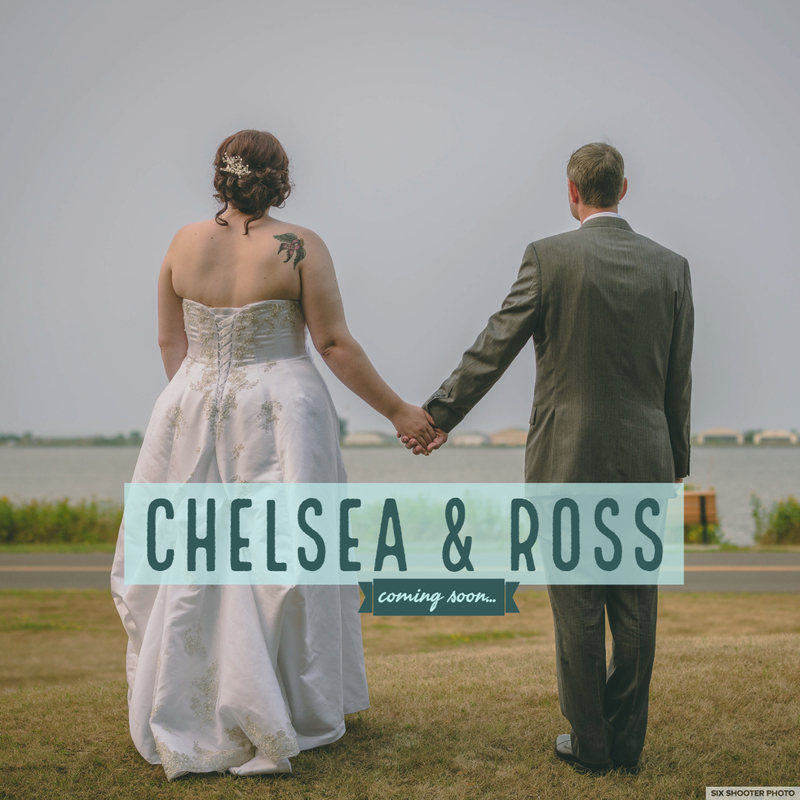 Hi, we are Melissa and Casey, founders of Six Shooter Photo. 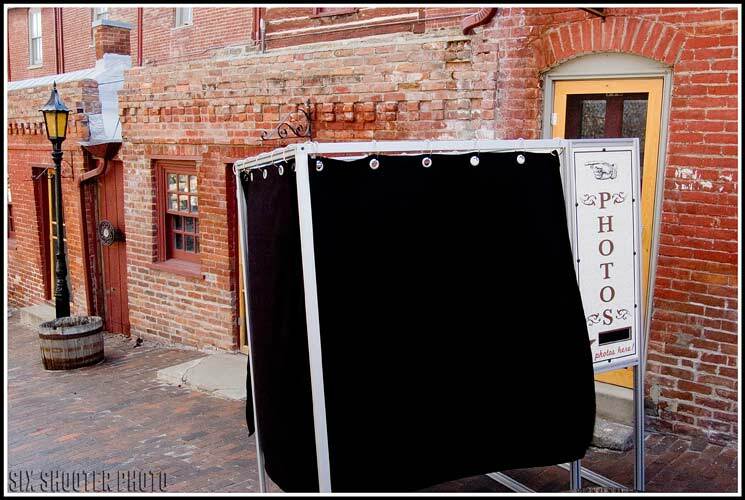 Our business started as a photo booth company based out of Helena, Montana in 2011 and we have nurtured and grown the business since. 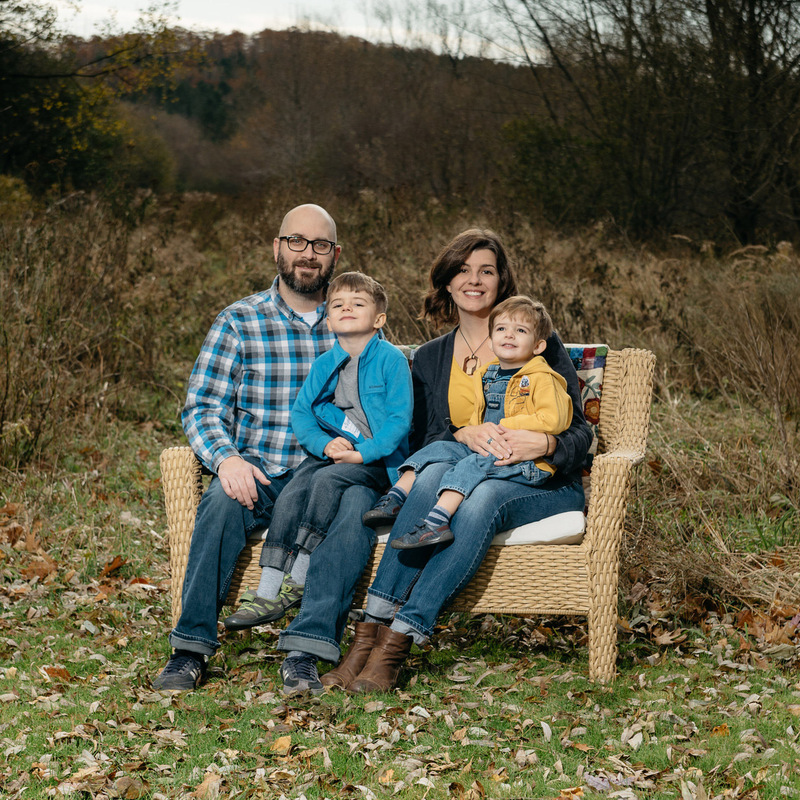 In 2016 we packed up the family and moved back to Casey’s hometown of Duluth, Minnesota so that we would be closer to family. Now in Duluth we’ve brought in Dan and Kelly and have added event photography to our offerings. We look forward to working with you and your special day. Dan and Kelly joined the Six Shooter team in 2016. They have brought their outstanding customer service and technical know how to the Six Shooter team. Dan helps run the photo booth and assists with second shooting. One of his strongest attributes while second shooting is his ability to wrangle the extended family in a timely manner so that those photos can be done efficiently. He also takes some exceptional candid photos throughout the night. We are lucky to have him on our team. The photo booth is an event classic. Six Shooter Photo will bring the booth, props, guest book and attendants who want your guests to have the best time possible. Enjoy unlimited prints, fun props, and custom graphic design on the bottom of your photo strips. Six Shooter Photo offers event and portrait photography in the Twin Ports. Getting married? We know that picking a photographer for your big day is an important decision, and we want to ensure that you make the right one for you, that’s why we offer a no strings attached engagement session. We want to ensure that not only are you happy with your photos before making a decision on who to hire but that we see eye-to-eye artistically. Reach out to us now to find out more! 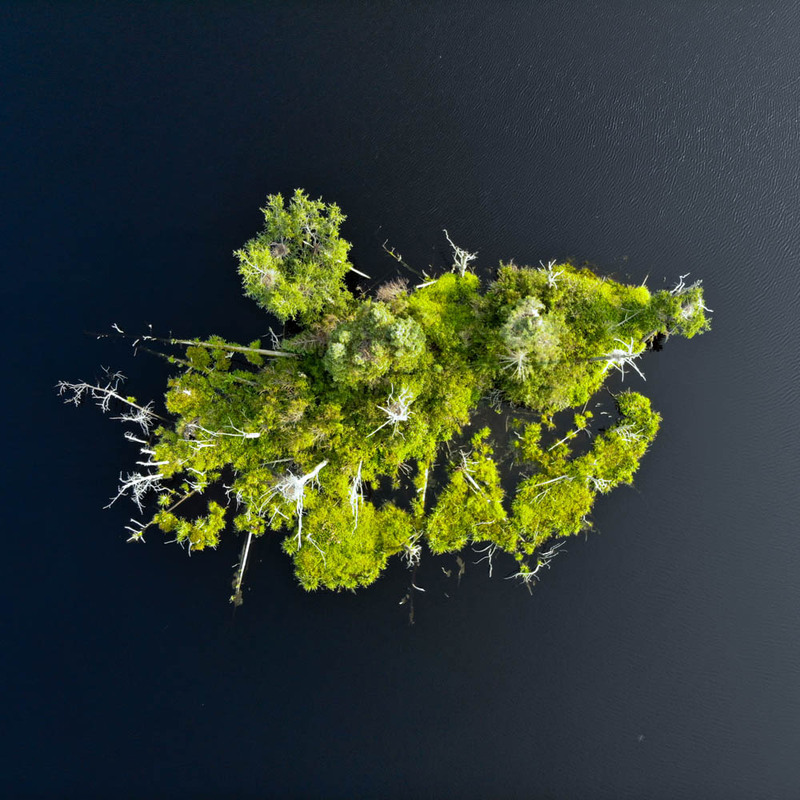 Drone photography is all the rage right now and we completely see why. The technology can and will produce awesome images that wow your clients, friends or families. We supply photos/footage for real estate, weddings, engagements, and other use that you can think of drone being beneficial for. Fully licensed for commercial drone usage.